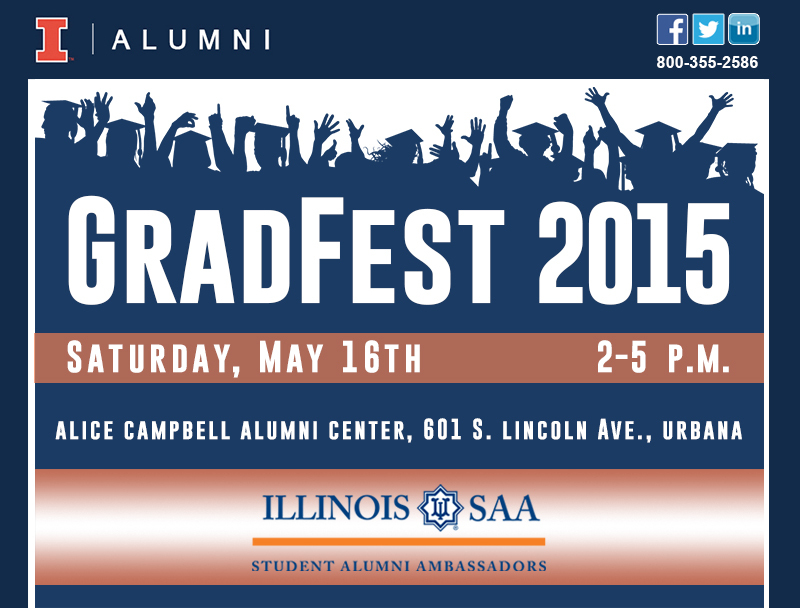 Do you have a son or daughter graduating from the University of Illinois at Urbana-Champaign this weekend? Plan to stop by GradFest at the Alice Campbell Alumni Center. ATTEND THIS SPECIAL EVENT WITH FOOD, FUN AND PRIZES!